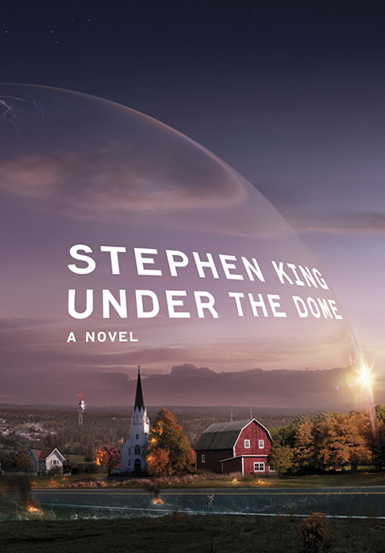 Continuing in our new series of occasionally serious reviews, here's a somewhat silly, though earnest, review of my thoughts while reading the first 30 pages of Stephen King's Under the Dome. What? Why? That woodchuck just got split in two and you're describing its bits wriggling and now you're choking women while airplanes explode in mid-air and body parts rain from the sky! Calm down, sir. Calm down. You've got 1000 pages to kill and maim things and explore your conflicting needs for 1950s family values and flaming torsos. My review of those thoughts: They exhibit a tendency towards excitability which seems to lead to the thinker repeating the word 'and' a lot. He should be careful with that.